Learn more about building your practice at Pikeville Medical Center! For physicians aspiring to practice in a progressive, growing medical community that demands quality and breeds excellence, Pikeville Medical Center is the place for you. As a 340-bed tertiary care center, the hospital offers more than 400 services, including most major specialties and many subspecialties. PMC continues to experience growth and a need for well-trained physicians. In 2014, the hospital completed a $150 million expansion, adding the 11-story PMC Clinic Building and a 10-story parking garage. The PMC Clinic Building houses new physician offices, exam rooms and state-of-the-art operating and endoscopy rooms. The enclosed parking garage accommodates 1,162 vehicles. 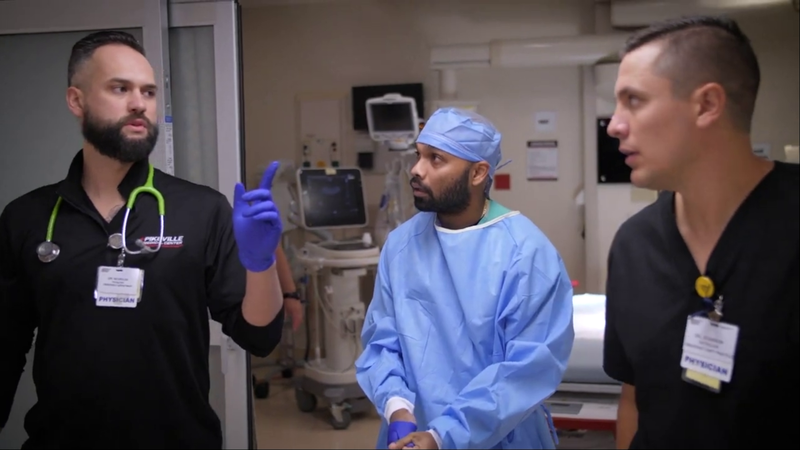 The combination of first-class care, state-of-the-art technology and a highly motivated support staff has enabled PMC to recruit outstanding physicians. PMC is currently seeking new physicians and offers generous salaries and an excellent benefits package. Pikeville Medical Center is seeking a board-certified/board-eligible General Surgeon. This is an opportunity to work within a world-class facility while earning Top pay. PMC has over 3,200 employees and over 500 credentialed providers, all focused on providing top-quality patient care. Pikeville Medical Center is currently seeking a board certified/board eligible Gastroenterologist, for a full time hospital employed position. The physician shall perform all of the usual and customary clinical services of an Gastroenterologist, including diagnosis, examination, consultation, and treatment (including the performance of procedures) of in-patients and out-patients in a clinic/office and hospital setting as directed by PMC. This is an opportunity to work within a world-class facility while earning Top pay. PMC has over 3,200 employees and over 500 credentialed providers, all focused on providing top-quality patient care. Our hospitalists work a flexible 7 on 7 off schedule, with dedicated nocturnists and a closed ICU. As a 340-bed, tertiary care center and level II trauma center, the hospital offers more than 400 services, including every major specialty and most subspecialties. PMC continues to experience growth and a need for well-trained physicians. PMC’s Emergency Department, a $10 million investment and 23,000 square foot addition to the hospital, including 40 monitored beds, provides patients with a more comfortable environment, reduces time spent waiting to see a doctor, and, ultimately, saves lives. PMC’s Emergency Department is certainly one of the busiest in the state with approximately 50,000 patient visits per year. PMC’s E.D. includes two trauma bays, three triage bays, physiological monitoring in every room and on-site digital x-rays and CT Scans. In fact, the E.D.’s new dedicated 320 slice scanner is one of the most advanced available. The department is now a better equipped facility, offering quicker response times, much faster access to CT scans and a quicker turnaround on lab work. Pikeville Medical Center is seeking a board certified or board eligible Interventional Cardiologist. The Physician shall perform all of the usual and customary clinical services of a physician specializing in Interventional Cardiologist to include the diagnosis, examination, consultation, and treatment (including the performance of procedures) of in-patients and out-patients in a clinic/office and hospital setting to all patients directed by PMC. Collegial BE/BC Neurosurgery opportunity available. Join our experienced Neurosurgeon in a state of the art facility. Call is 1:2. PMC, a 340 bed facility, has over 3,000 employees and nearly 500 credentialed providers, all focused on providing top quality patient care. 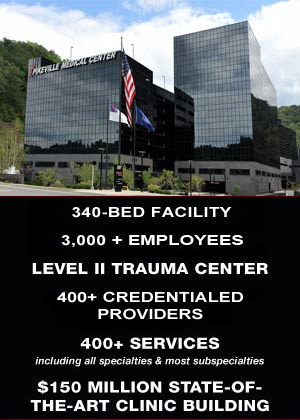 We are a level II trauma center and the regions largest referral center. Pikeville Medical Center is seeking a board certified/board eligible OB/GYN. The ideal candidate will perform the usual and customary services of an OB/GYN in hospital and outpatient settings. Must qualify for a Kentucky medical license. Pikeville Medical Center is seeking a BE/BC Interventional Radiologist to join our team. PMC offers a busy practice and the full spectrum of IR procedures. PMC recently opened a brand new state-of the-art dedicated IR suite. This position is an excellent opportunity for a highly skilled Interventional Radiologist who wants to provide the highest level care in a supportive environment. 100% IR. As a 340-bed tertiary care center, the hospital offers more than 400 services, including every major specialty and many subspecialties. Pikeville Medical Center is seeking a board eligible/board certified Hematologist Oncologist to join our well established cancer center, The Leonard Lawson Cancer Center. The Leonard Lawson Cancer Center (LLCC) is one of a select few cancer centers in Kentucky that is an accredited full-service facility providing state-of-the-art cancer treatment and follow-up care that have received commendation by the COC. Staffed by expert oncologists, nurses, pharmacists, patient navigators and many other highly-trained health care professionals, LLCC provides quality care close to home. LLCC is a free-standing facility with convenient parking to better serve patients. We were recently reaffirmed as offering the best in cancer care by being one of only a few select cancer centers in Kentucky or the nation receiving accreditation from the Commission on Cancer with commendations. Pikeville Medical Center has a need for additional Pulmonology/Critical Care physicians to join a well-established group. This growing service provides 24/7 coverage in a busy ICU. The current schedule is 7 on/7 off in the ICU with a flexible blend of pulmonary medicine. Opportunities exist for physicians who are BC/BE. For more information about this exciting opportunity please contact Ashley McCoy, Physician Recruiter, at 606-218-4734 or ashley.mccoy@pikevillehospital.org. Pikeville Medical Center is currently seeking a board certified/board eligible Rheumatologist, for a full time hospital employed position. The physician shall perform all of the usual and customary clinical services including diagnosis, examination, consultation, and treatment (including the performance of procedures) of in-patients and out-patients in a clinic/office and hospital setting as directed by PMC. Pikeville Medical Center is actively seeking a BC/BE Vascular Surgeon. Physician shall perform all of the usual and customary clinical services of a physician specializing in vascular surgery, including the diagnosis, examination, consultation, and treatment (including the performance of procedures) of in-patients and out-patients in a clinic/office and hospital setting. Pikeville Medical Center is actively seeking an experienced BC/BE Urologist. Physician shall perform all of the usual and customary clinical services of a physician specializing in Urology, including the diagnosis, examination, consultation and treatment (including the performance of procedures) of in-patients and out-patients in a clinic/office and hospital setting. Currently, we have two urologists on staff. Our patient service area of a quarter million has a large primary care base which is an excellent referral source, and PMC will provide you with all the tools needed to create a successful practice. For more information regarding the opportunity to work at one of Modern Healthcare’s Best Places to Work in the nation, please call Ashley McCoy at 606-218-4915. Pikeville Medical Center is actively seeking a board certified/board eligible Endocrinologist. Candidate shall perform all of the usual and customary clinical services of a physician specializing in endocrinology, including diagnosis, examination, consultation and treatment (including the performance of procedures) of in-patients and out-patients in clinic/office and hospital setting. We are seeking a candidate who has experience in insulin pumps, continuous glucose monitoring systems and an interest in managing patients with endocrine problems, with emphasis in diabetes. Our diabetes education program has been recognized by the American Diabetes Association, and our certified diabetes educator has received certification in Medtronic MiniMed insulin pumps and Real Time continuous glucose monitoring system. Pikeville Medical Center is actively seeking a board certified/board eligible Neurologist. Physician shall perform all of the usual and customary services of a physician specializing in neurology, including diagnosis, examination, consultation, and treatment (including the performance of procedures) of in-patients and out-patients in a clinic/office and hospital setting. We have EEG machines, an epilepsy evaluation monitoring room, two 320 slice CT scanners and other state-of-the-art equipment, as well as a 24/7 stroke team. PMC physicians have an excellent RN staff and respiratory therapy staff at their disposal. Our stroke program has received the Gold Plus Award for Stroke Care from the American Heart Association. This is a hospital-employed opportunity. We are offering an excellent salary, malpractice insurance and great comprehensive benefits package. For more information, please please call Ashley McCoy at 606-218-4915. Pikeville Medical Center is actively seeking a board certified/board eligible ENT. Physician shall perform all of the usual and customary services of a physician specializing in neurology, including diagnosis, examination, consultation, and treatment (including the performance of procedures) of in-patients and out-patients in a clinic/office and hospital setting. This is a hospital-employed opportunity. We currently have 2 ENTs on staff. We are offering an excellent salary, malpractice insurance and great comprehensive benefits package. For more information, please please call Ashley McCoy at 606-218-4915. Pikeville Medical Center is actively seeking a board certified/board eligible Sleep Medicine physician. They shall perform all of the usual and customary services of a physician specializing in neurology, including diagnosis, examination, consultation, and treatment (including the performance of procedures) of in-patients and out-patients in a clinic/office and hospital setting. This is a hospital-employed opportunity. We are offering an excellent salary, malpractice insurance and great comprehensive benefits package. For more information, please please call Ashley McCoy at 606-218-4915. Pikeville Medical Center is seeking a BE/BC Cardiothoracic Surgeon to join an elite group of Cardiologists providing cardiac care. 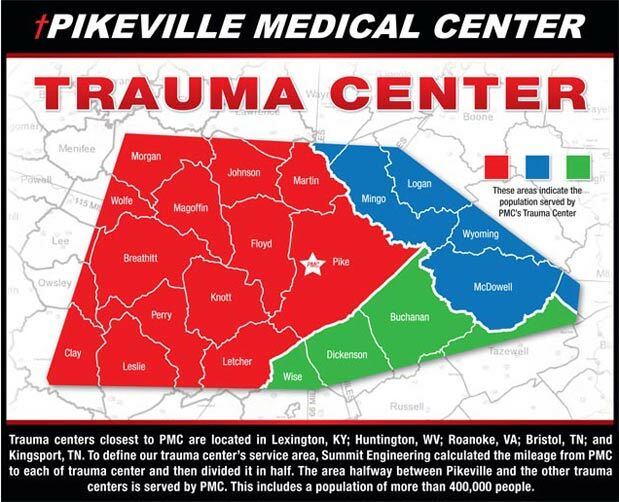 Pikeville Medical Centers Heart Institute offers comprehensive cardiac care to the people of Eastern Kentucky. PMC strives to be your number one choice when it comes to your heart. As the regions leader in health care, PMC offers comprehensive care for your heart. Making huge strides for this area, PMCs Heart Institute excels in prevention, early detection, patient care and education. Pikeville Medical Center is currently recruiting a Pulmonologist. Opportunities exist for physicians who are BC/BE in Pulmonology. PMC offers compensation above the national average, a comprehensive benefits package, and malpractice paid. The hospital has a service population of more than 250,000 and offers a multidisciplinary team environment dedicated to excellence in clinical service and continuous quality improvement. This is a hospital-employed opportunity offering the ability to practice in ONE facility with state-of-the-art equipment. 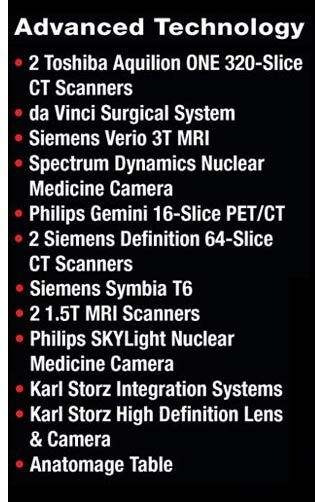 Including: APC lasering and bronchial stenting, electrocauterization, electromagnetic navigational bronchoscopy, endobronchial ultrasound, and pleuroscopy. Collegial BC/BE CC opportunity available at Pikeville Medical Center. As a 340-bed, tertiary care center and level II trauma center, the hospital offers more than 400 services, including every major specialty and most subspecialties. PMC continues to experience growth and need for well-trained physicians. The combination of first-class care, state-of-the-art technology and a highly motivated support staff has enabled PMC to recruit outstanding physicians.You take care of the patients, we take care of you! At PMC, we understand that better patient care starts with happy, engaged, and productive providers. Collegial BC/BE Child Psychiatry opportunity available at Pikeville Medical Center. As a 340-bed, tertiary care center and level II trauma center, the hospital offers more than 400 services, including every major specialty and most subspecialties. PMC continues to experience growth and a need for well-trained physicians. The combination of first-class care, state-of-the-art technology and a highly motivated support staff has enabled PMC to recruit outstanding physicians.You take care of the patients, we take care of you! At PMC, we understand that better patient care starts with happy, engaged, and productive providers. Compensation and Benefits: Generous salary Student loan repayment negotiable Moving expenses reimbursed Stipends offered if situation is applicable CME expenses covered Paid KY and DEA licenses and society dues All malpractice insurance paid by PMC Excellent comprehensive benefits package Long term disability Excellent retirement plan H1B cap exempt facility We invite you to explore the possibilities with us! Contact us for more information. Located in the heart of east Kentucky, the city of Pikeville is extremely welcoming to new community members. On average, 35 to 40 physicians and their families relocate to the area every year. With some of the best education systems in the state, the region’s schools consistently rank among the top in academics and athletics. Educational opportunities include a large public school system, an independent school and several parochial schools. 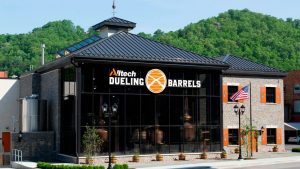 Home to more than 1,400 businesses, Pikeville is the third largest banking center in Kentucky and is known as the industrial, financial and retail marketplace of the region. The city was twice voted one of the “Best Small Towns in America” by Prentice Hall. Located one to two hours from four major cities, Pikeville is an exceptionally clean community with beautiful homes and virtually no crime. 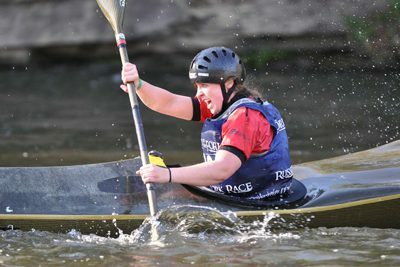 A wide selection of outdoor activities are available year round, including hiking, golfing, biking, white water rafting, kayaking, hunting and fishing. 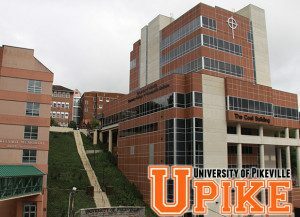 The University of Pikeville, located near the hospital, boasts an Osteopathic School, Optometry School, a nursing program and multiple masters programs. 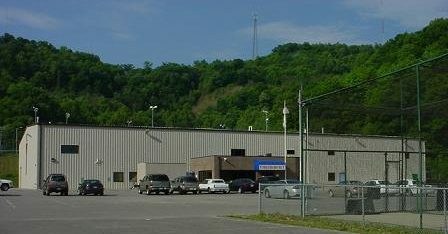 As the region’s leader in health care, Pikeville Medical Center employs more than 2,500 and serves a population of nearly a half million people from the surrounding area. If you are looking for a challenging, professional practice in a place where you can enjoy raising a family and being a part of the community, Pikeville is the place for you.